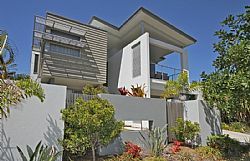 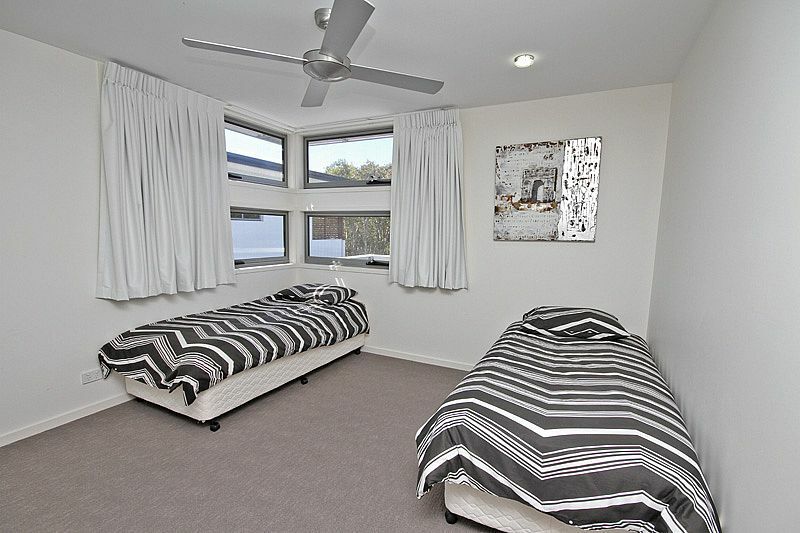 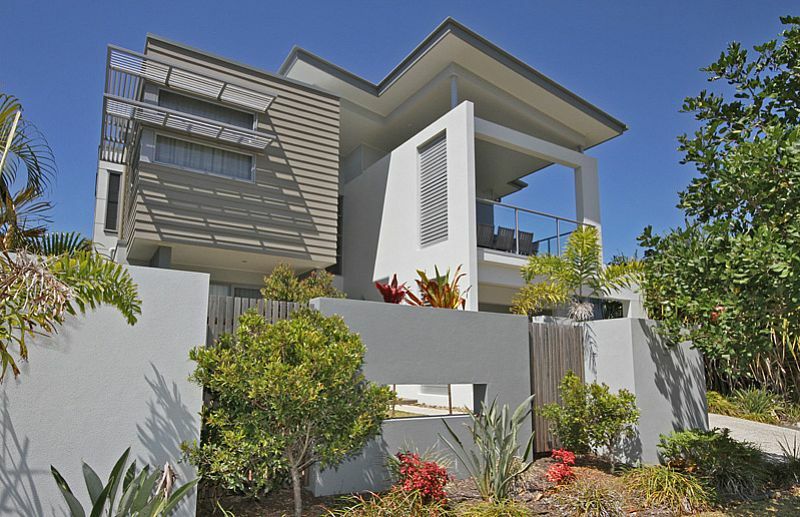 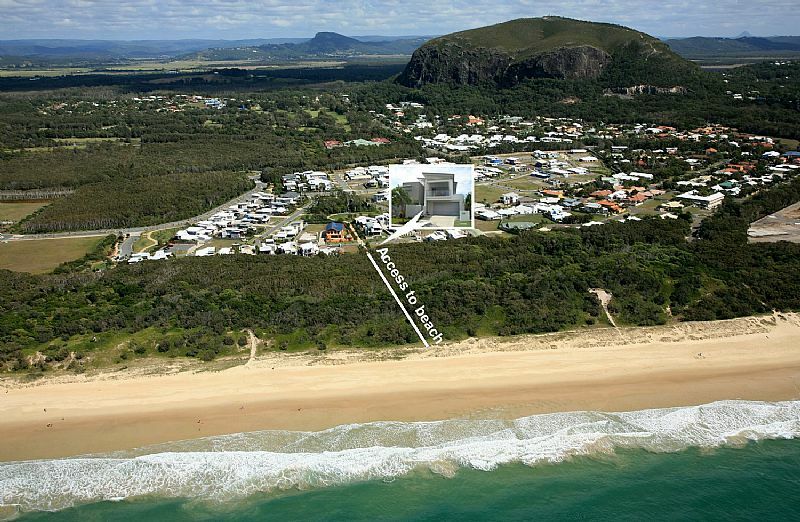 Relax and listen to the sound of the surf from this contemporary four bedroom beach house surrounded by tranquil native bush on the shores of Mt Coolum beach. 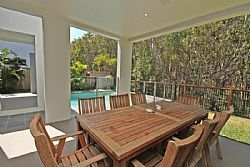 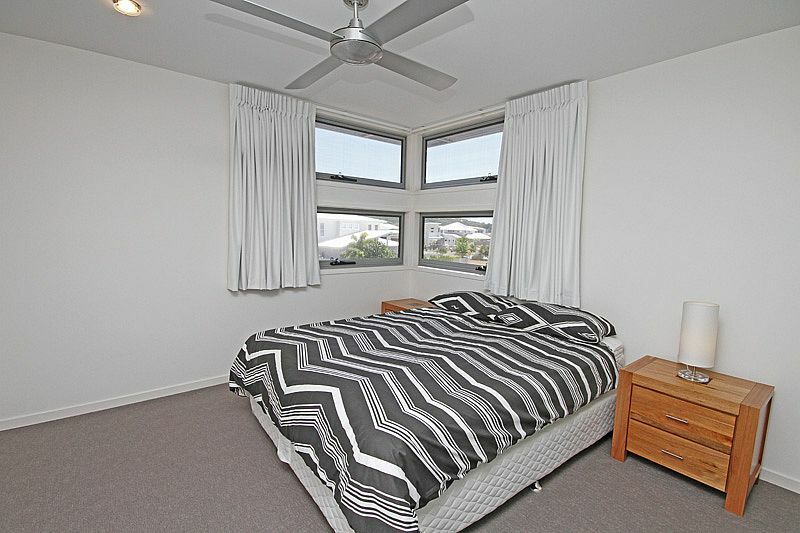 Fully fenced and pet friendly with direct beach access, guests can enjoy the nearby beach or retreat to the privacy of your own inground swimming pool and beautiful tropical gardens. 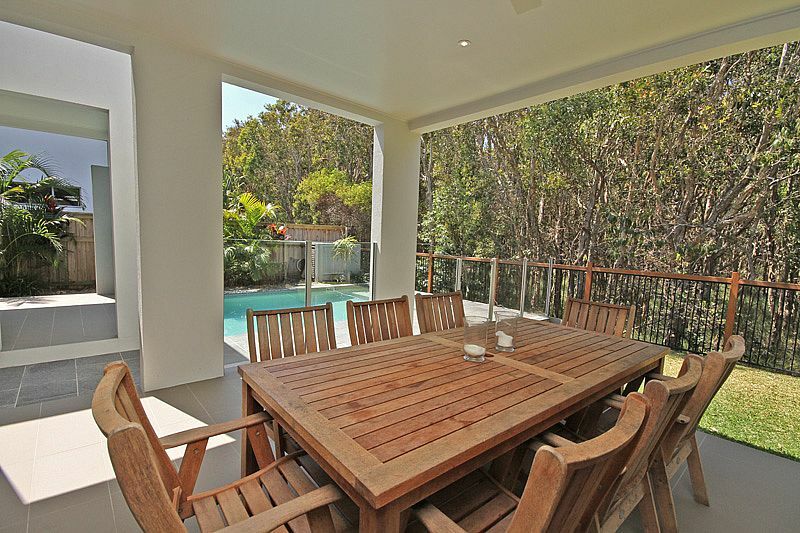 Catering for families or groups of friends, there are two outdoor spaces for alfresco meals to make the most of the beautiful Sunshine Coast climate and providing perfect indoor/outdoor flow. 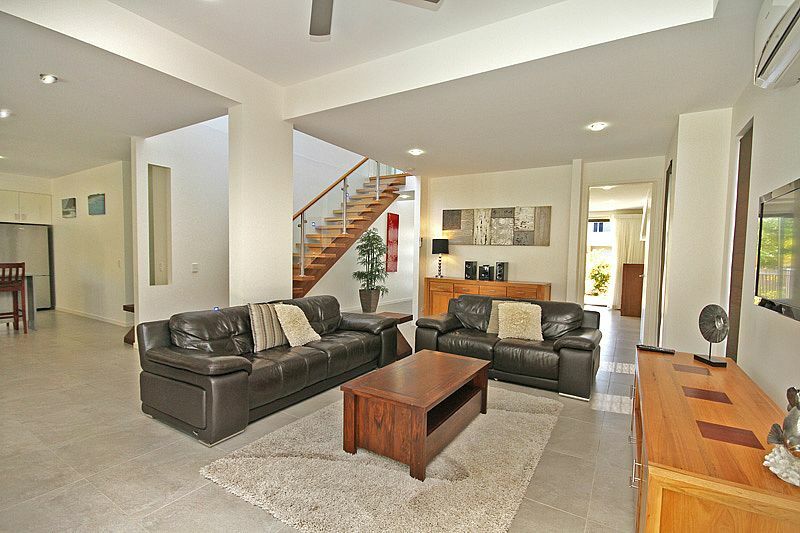 Indoors, guests can spread out in the open plan living and dining space, relax with a book or in front of the TV in the lounge area overlooking the sparkling pool. Mealtimes are easy with a beautiful entertainer’s kitchen complete with waterfall stone benchtops, stainless steel appliances, microwave, oven, cooktop, dishwasher, fridge/freezer coffee machine and breakfast bar. 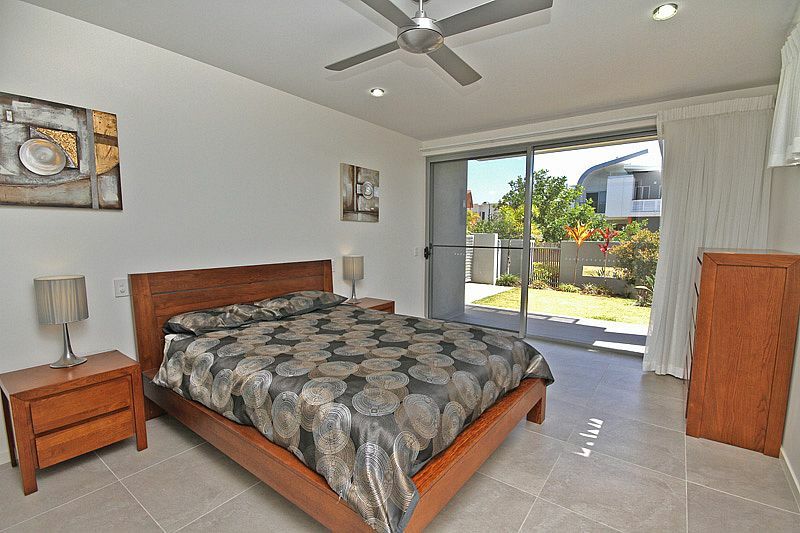 On the ground level there is a queen bedroom with built in wardrobe and ceiling fans, while upstairs the master suite features a queen bed, built in wardrobe, ensuite, air conditioning and ceiling fans. 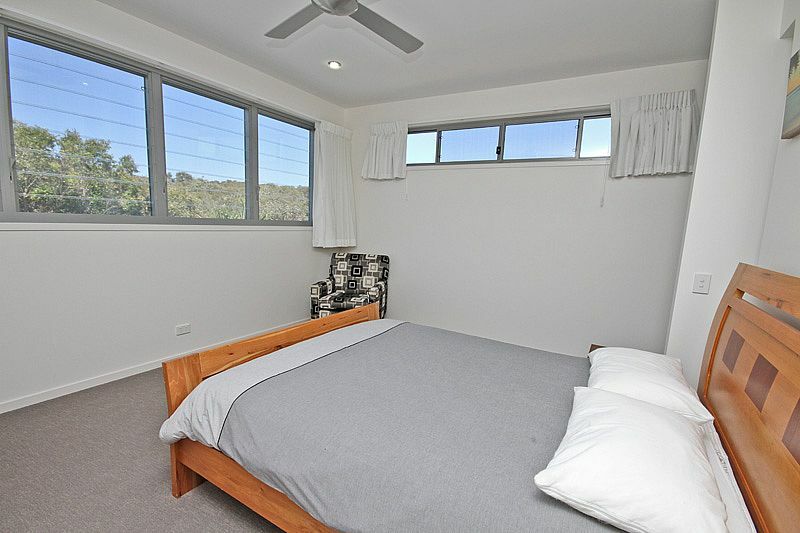 There are also two additional bedrooms on the upper level, one with two single beds and the other with a queen and both offering wardrobes, ceiling fans and air conditioning. 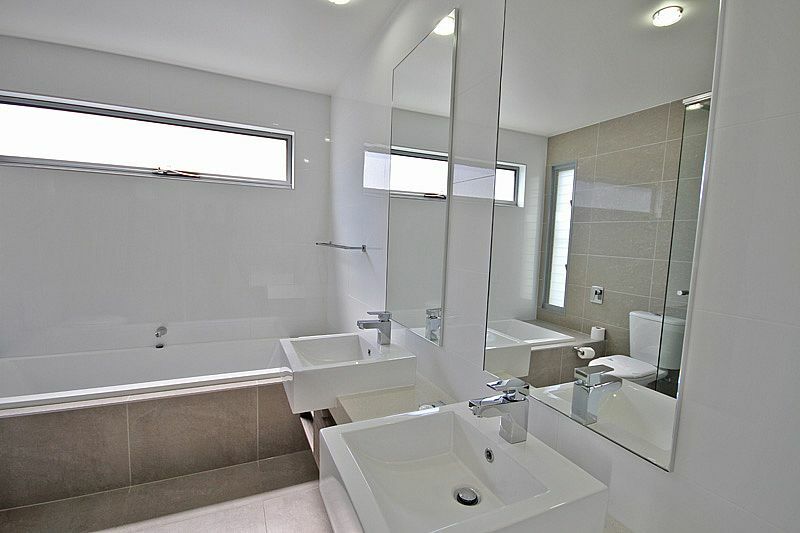 With complete bathrooms on both levels, the upstairs bathroom including a bath as well as shower, there is no need to be queuing for showers each morning or evening! 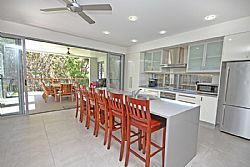 Additional features of this fabulous vacation home include secure off street parking with a double lock up garage, a full laundry with washing machine and dryer and complimentary WIFI during your stay. 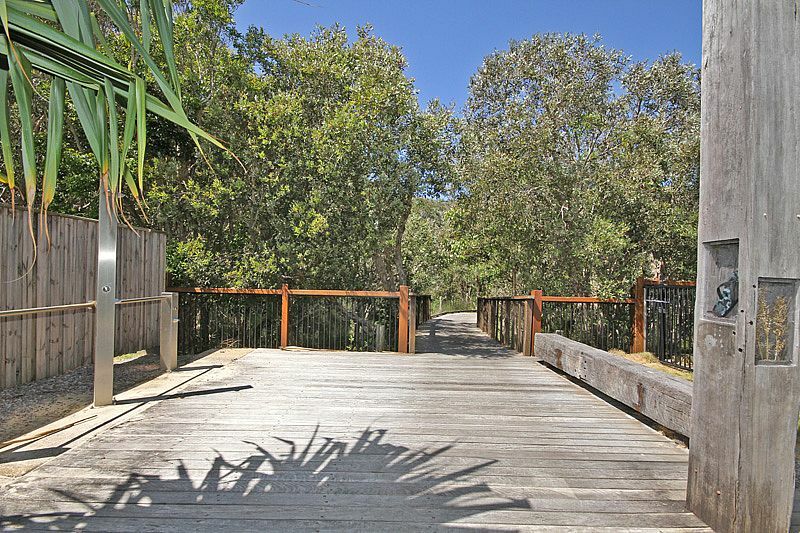 All this and just a gentle stroll through the reserve to the beach, a short walk to the local café for an early morning coffee or a hike up nearby Mt Coolum. 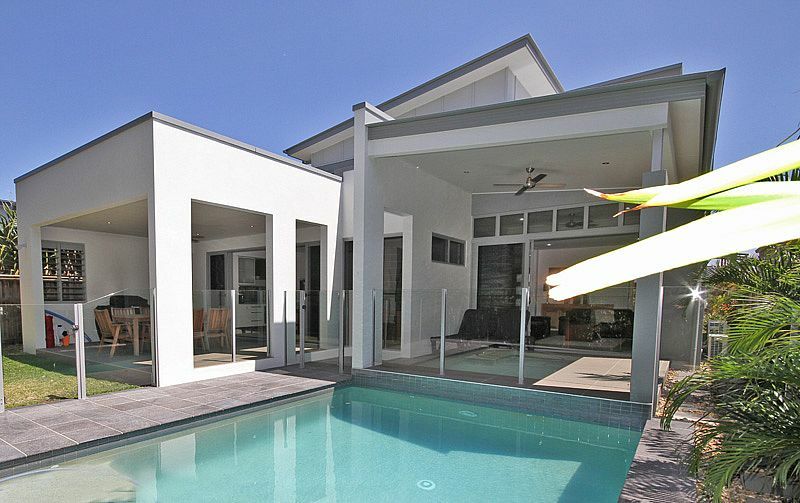 Absolute paradise at your fingertips!